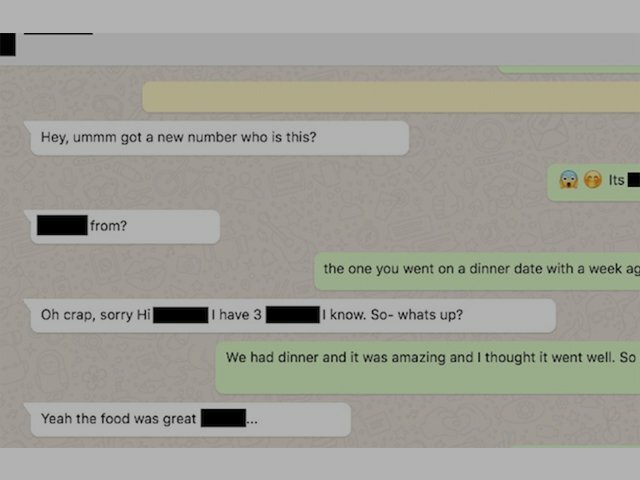 What started off as a perfectly normal dinner date, has turned into a nightmare for one woman who is being threatened by a man whom she thought was going to be the one. Dating can be a risky affair, especially when it involves getting to know a complete stranger. I've heard many amazing dating stories during my time of how couples met and how love has blossomed between them. Like many great stories I've heard, I've also heard a few horror stories of dates gone completely wrong. But nothing has quite topped this. READ: Could this be the biggest dating faux pas ever? A KZN woman has shared a message with me via email that I simply couldn't ignore. She thought she was out to meet the man of her dreams, but only to be rudely awakened to the fact that he's actually disgusting. 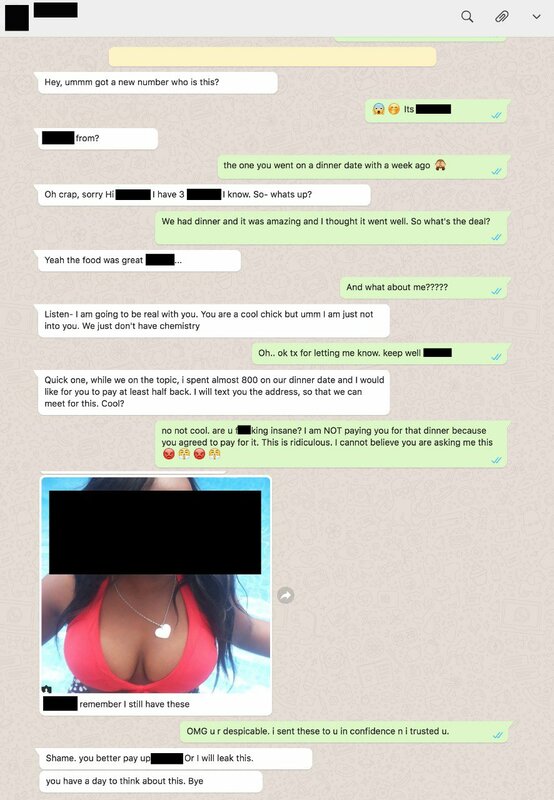 He has had the audacity to request that she pays money for dinner she ate with him after the fact, and is now threatening to leak a picture of her. Hi Damon. I need your help. I am in a situation at the moment. I am being threatened by a guy who I went on a date with. We've been chatting for a while and decided to go for dinner. I thought it went well, but it clearly didn't. Not only is he asking me to pay him back the money for our meal, but he's also threatening to leak a photo I sent him. I will be sending you the screenshot of our conversation to put things in perspective. Should I pay him to shut him up, or ignore it all? Disclaimer: The contents in the above screenshot has been approved by the anonymous listener for publishing purposes. After checking the messages out, I must admit that this is a form of blackmail and emotional abuse. Like all abuse, it’s about power and control. This guy is a coward and the first thing that she should do is chat to a lawyer or failing that, go to the police. READ: How do you tell your friend that she’s dating the wrong guy? Pay him to keep his mouth quiet? Not a chance. I think he’ll just use that as an excuse to get more and more from her.